Home / mobile / news / oppo / Sale Alert: OPPO announces Find X and R17 Pro Valentine's sale! 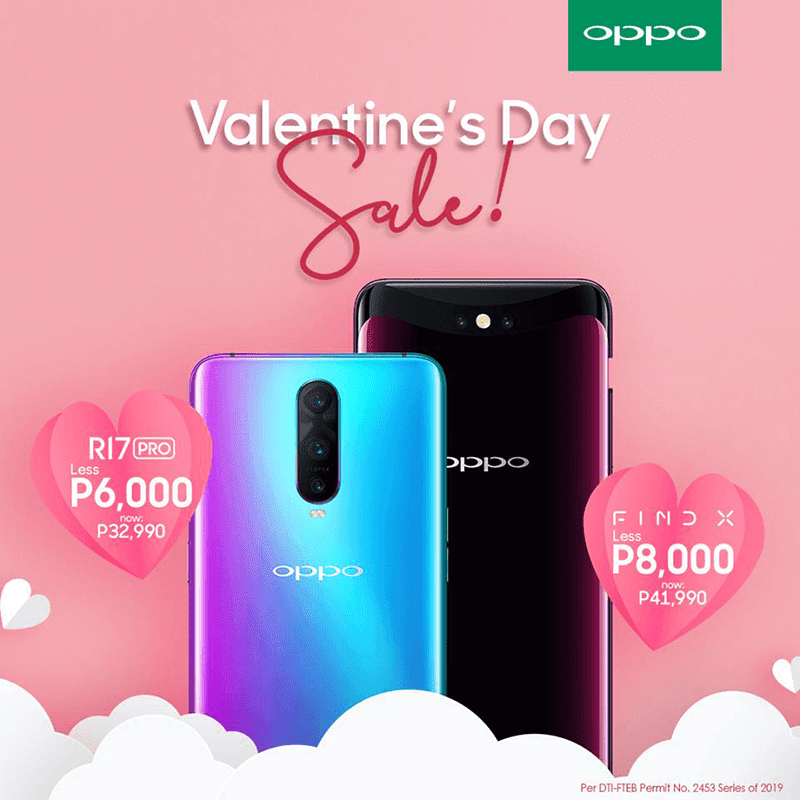 To celebrate the season of love, OPPO announced the Find X and R17 Pro Valentine's Day sale! Starting Febuary 13, 2019, you can get the OPPO Find X and OPPO R17 Pro in their new discounted prices. From PHP 49,990, the Find X is down to just PHP 41,990. On the other hand, the R17 Pro from PHP 38,990 will be priced at just PHP 32,990. To recall, Find X and R17 Pro are two of the most premium OPPO's most premium smartphone. Find X is OPPO's first smartphone with a true bezel-less display and a motorized pop-up camera. It runs with the Snapdragon 845 SoC, 8GB RAM, 256GB storage, and has VOOC fast charging solution. R17 Pro comes with a stylish gradient glass back design, waterdrop notch, triple-camera setup, and Super VOOC fast charging solution. It also has one of the nicest night mode in town.